Heart. Star. Pendant. Wire Pendant. 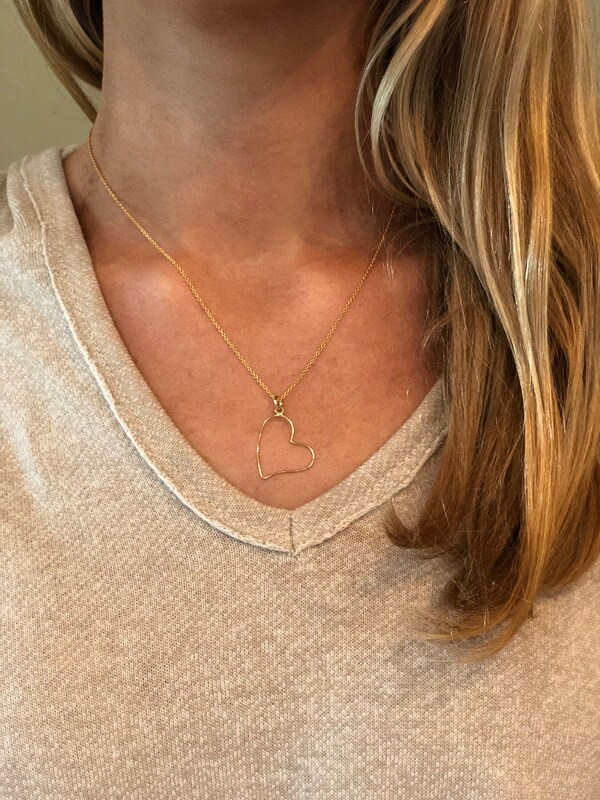 Minimalist Necklace. 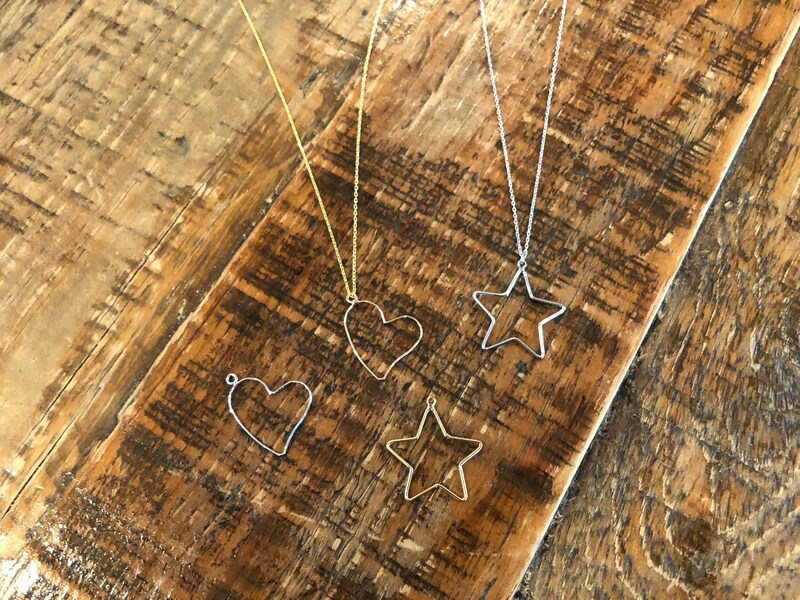 Everyday Necklace. 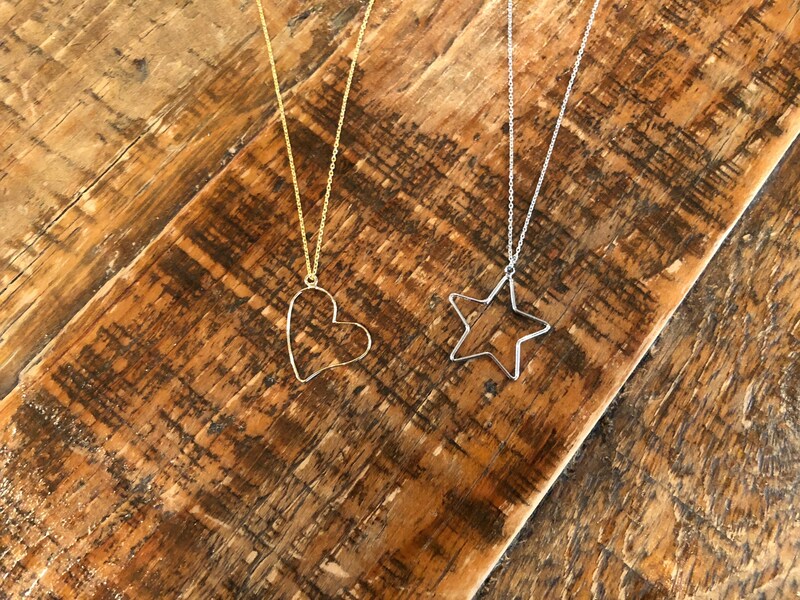 We loved the earrings so much, we made the necklace versions! 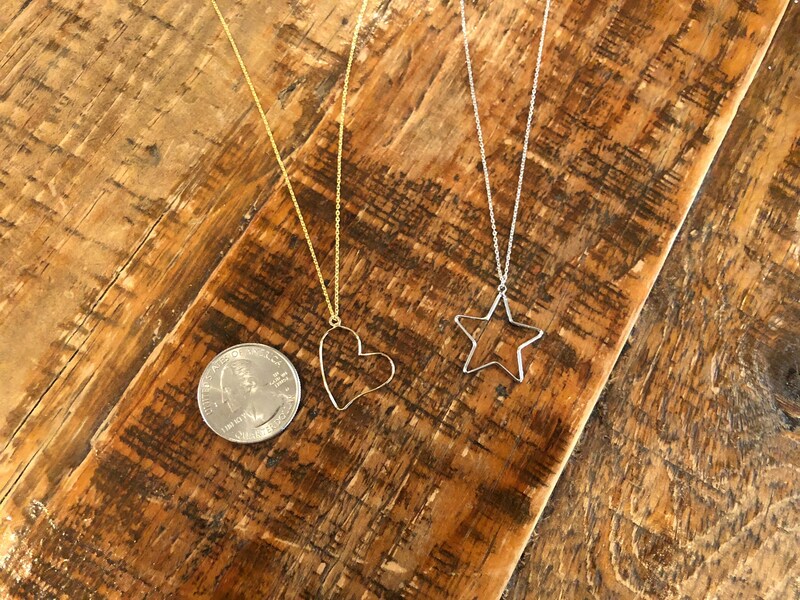 These thin wire pendants are dainty and fabulous! Pair them with a bubs & sass initial to take it up a notch! - 1 Sterling Silver or Gold Plated 16" chain with a 2" extender. If you would like a longer chain, please tell me at checkout.